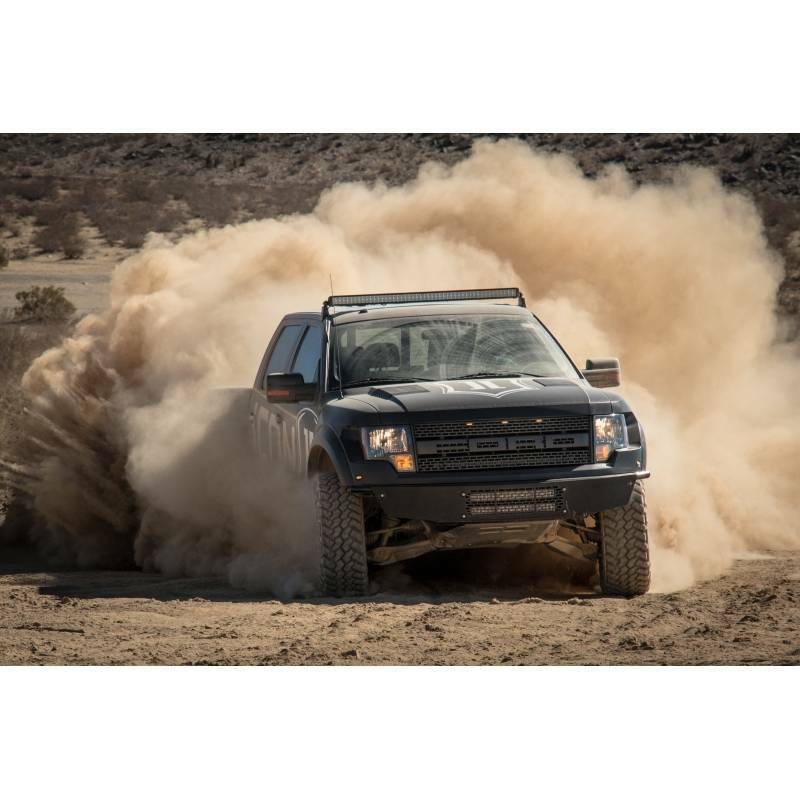 The Ford SVT Raptor is an extremely capable truck that has captured the attention of the off-road community over the past few years. 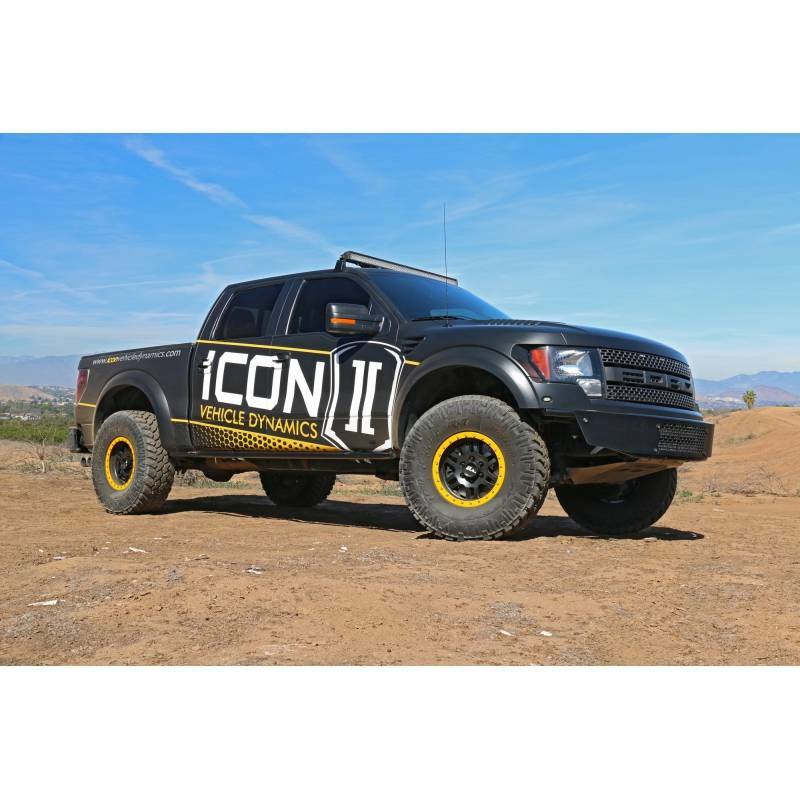 Since the Raptor’s release ICON Vehicle Dynamics’ engineers have pushed this vehicle to extremes in order to develop the most comprehensive suspension components on the market. 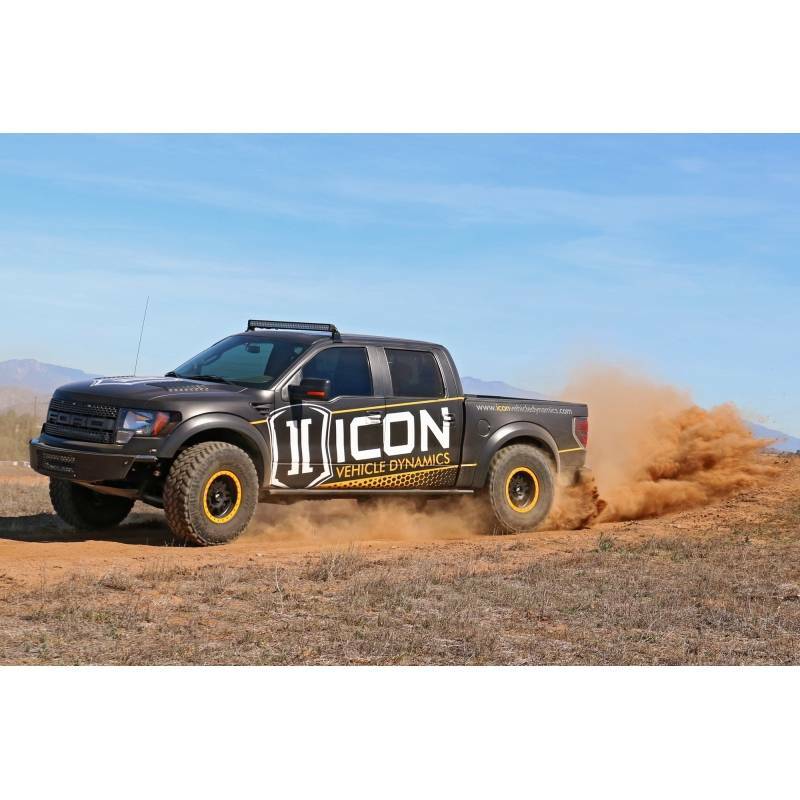 From the brutal deserts of the Southwest, to the deep snow of Michigan’s U.P., to the wooded trails of the East coast, ICON suspension systems have been put to the test and performed flawlessly. 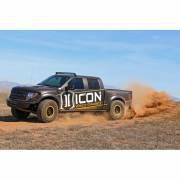 Unable to leave “well-enough” alone, ICON is once again aiming to raise the bar in Raptor performance with the introduction of the RXT Rear Suspension System. 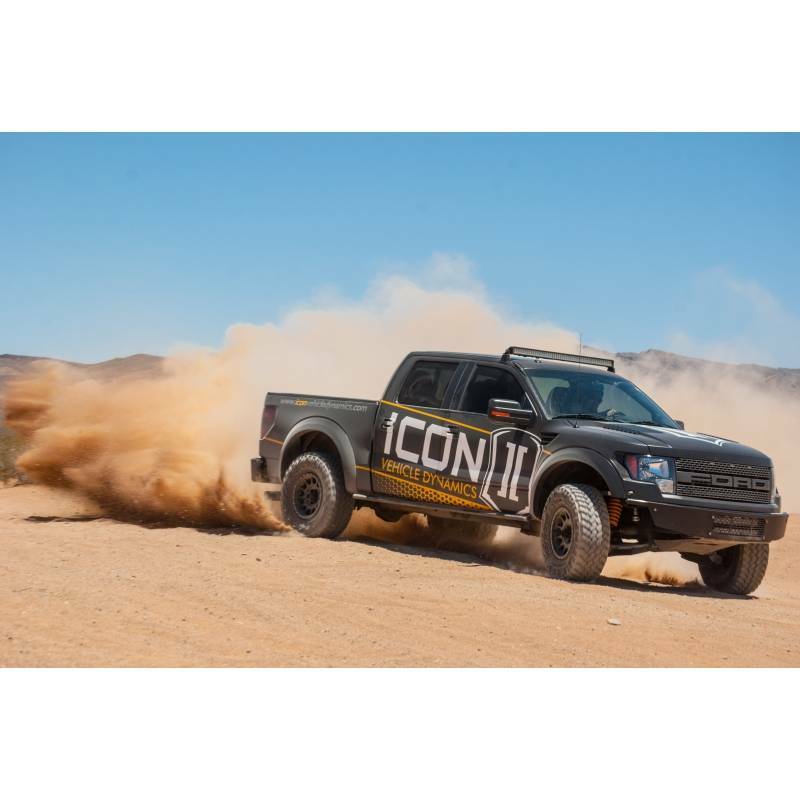 Through a combination of in-house R&D and close collaboration with several Raptor enthusiast groups, ICON has spent the better part of the last year further identifying limiting factors in OE components and looking to further extrapolate performance out of this vehicle in complete bolt on fashion. 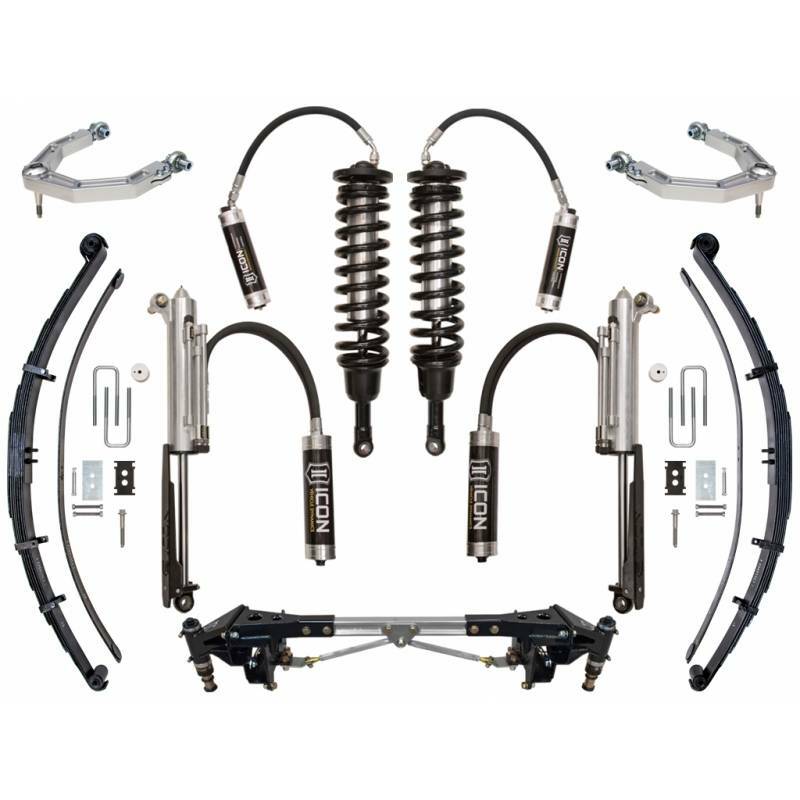 This Stage 4 System combines the unstoppable performance of our Ford Raptor 3.0 Coilover Shock System and fully adjustable Billet Uniball Upper Control Arms with the 3.0 RXT complete rear system. 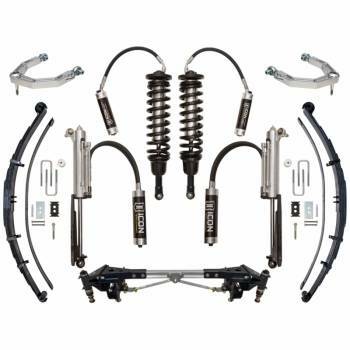 The RXT Rear Suspension System includes an all-new RXT 3.0 Rear Bypass shock, RXT Multi-Rate Leaf Spring, along with the ICON Raptor Rear Bumpstop Kit. Installation of this complete system replaces the aforementioned “limiting factors” and completely redefines the potential of this truck. 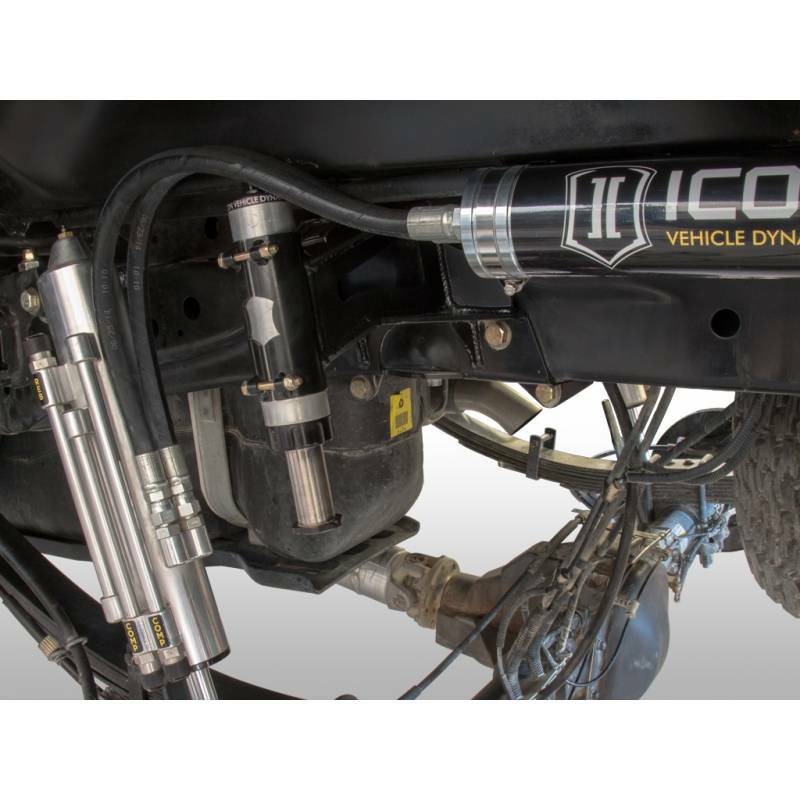 The engineers at ICON Vehicle Dynamics took a different approach to position sensitive performance in our 3.0 front coilover shock. Instead of bypassing a small internal piston at the cost of poor control, road holding, and cornering like a traditional internal position sensitive shock, our shock starts with a true 3” main piston that has robust features such as digressive rebound and flutter stack compression. 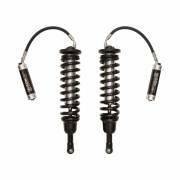 This combination produces outstanding control, great response, and unparalleled ride performance. To achieve even more control for extreme off-road use, we added an additional internal hydraulic system (much like an external mounted hydraulic bumpstop) that produces the extreme forces required during the last 40% of travel to achieve maximum bottom out control. 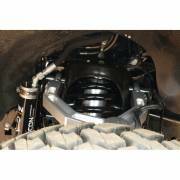 These multiple stages of compression and rebound have been tuned independently to maximize overall performance of the Ford SVT Raptor front suspension. 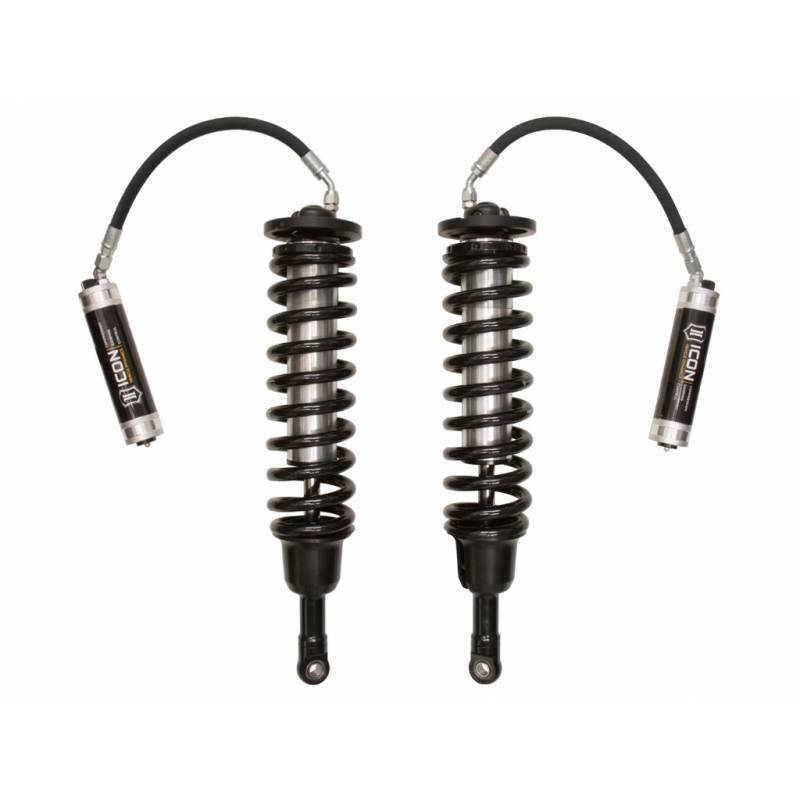 For owners who wish to optimize the ride specific to his or her liking, the front coilover shocks are equipped with an external, “Easy to Adjust” Compression Damping Control Valve, that is effective for the entire stroke of the shock. This compression adjustment valve offers you 10 high resolution settings, each bringing a true feel difference from soft to firm. These trucks were designed with off-road performance in mind but the OE upper arm with ball joint is one of the weak points in the factory Raptor suspension. 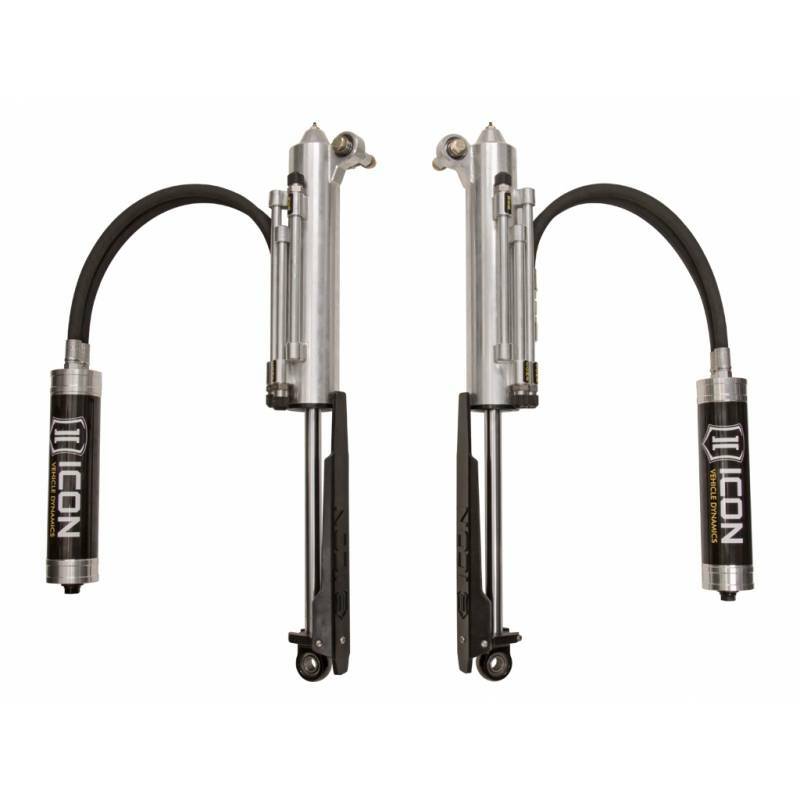 ICON 6061 Billet Aluminum Arms use 1” PTFE lined all stainless uniballs combined with our 17-4 stainless taper pin adapters to increase the upper arms misalignment, allowing for smooth and clean wheel travel without worrying about factory ball joint bind or breakage. 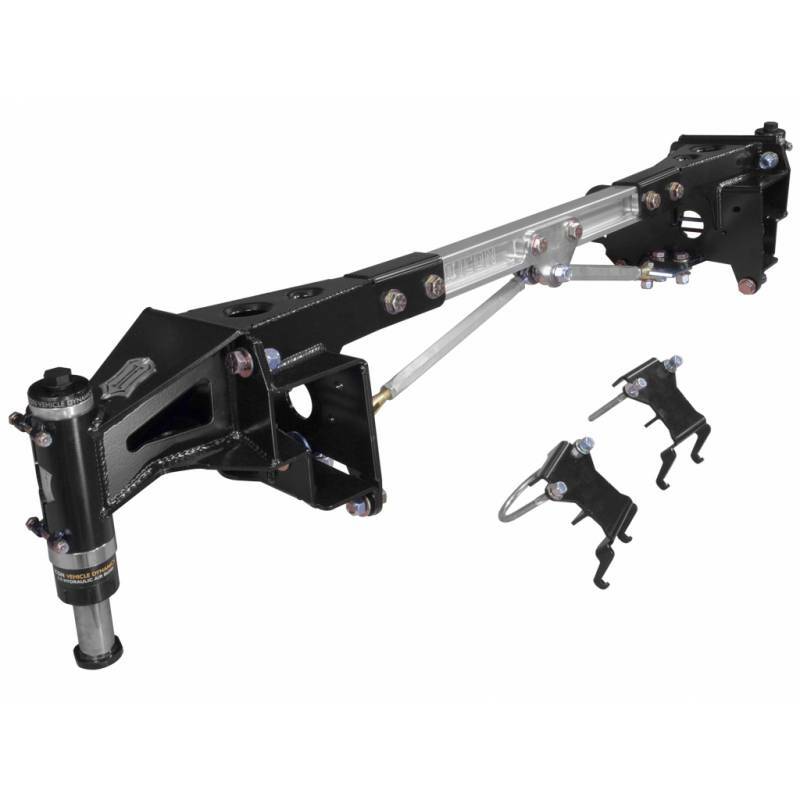 Unique to no other Raptor upper control arm on the market to have on vehicle adjustable rod ends to allow for easy alignment adjustment in minutes not hours. That means no taking the arms on and off to adjust them you simply loosen the pinch bolts, adjust to your liking, and re-tighten the pinch bolts. The adjustability allows you to retain the factory track width, while improving tire clearance between the tire and back side of the front fender well. 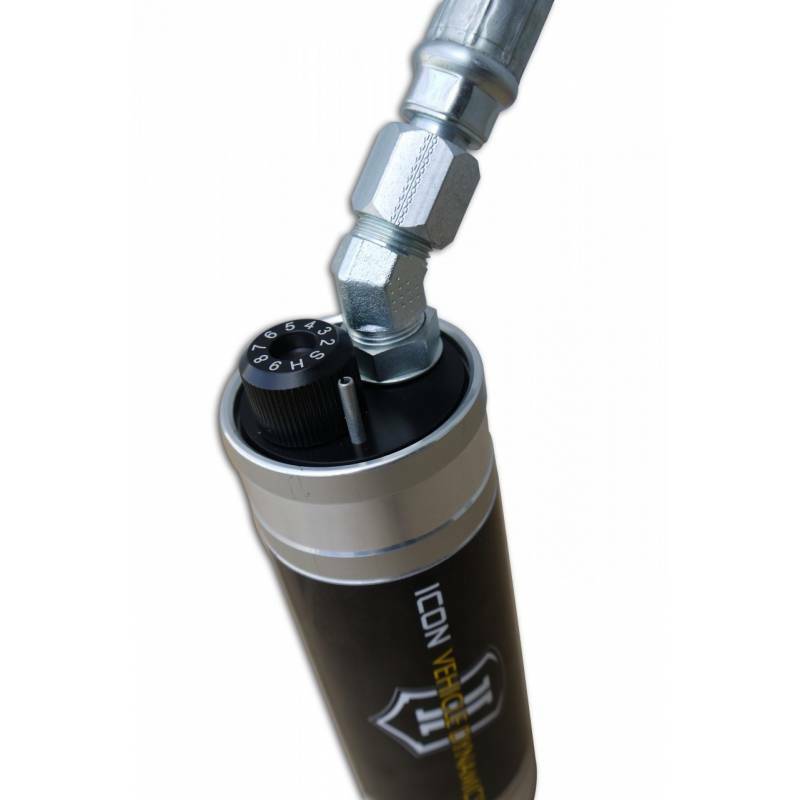 This ICON uniball upper control arm system includes an o-ring sealed cover cap to keep dirt and weather elements from collecting on top of the uniball, which ultimately leads to tearing up the PTFE liner causing you to replace them prematurely. 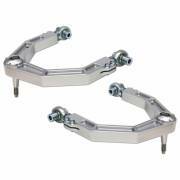 The job of the bumpstop is to control and limit the final position of the suspension during up-travel. The OE rear bumpstop is made of foam rubber, is limited on how much energy it can absorb, and is also a limiting factor in the amount of travel that can be had in the rear of the Raptor. 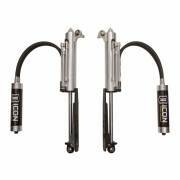 The ICON Raptor Rear Bumpstop Kit utilizes a velocity-sensitive 2.0 hydraulic bumpstop that increases the amount of energy absorbed the faster it is hit. With a robust clamshell bracket design and triangulated cross braces, it not only gives a rigid mounting point for the air bump, it helps support a known weak part of the frame prone to failure. This kit was also originally designed to limit bump at the factory location, but has always had a provision to allow for more up-travel through the use of a removable spacer. When combined with the RXT leaf spring and rear shock, the spacer can be removed resulting in a drastic increase in up-travel and off-road performance. To take advantage of the additional travel that the RXT Rear Suspension System offers, ICON engineers had to scrap the OE leaf springs and develop a replacement that addressed issues found in the R&D process. 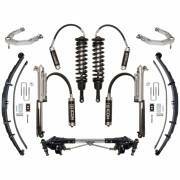 The result is a user-adjustable multi-rate leaf pack that offers a major performance gain for almost every Raptor setup imaginable. 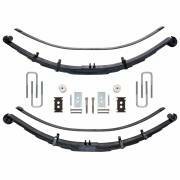 Features like tip inserts and leaf separators reduce friction and add to overall ride comfort, while a triple military wrapped front and rear half wrapped eyelet increases durability and strength of the leaf spring. A rebound leaf was added to reduce the axle wrap of the Raptor, which was another issue that has been found through ICON’s extensive testing. 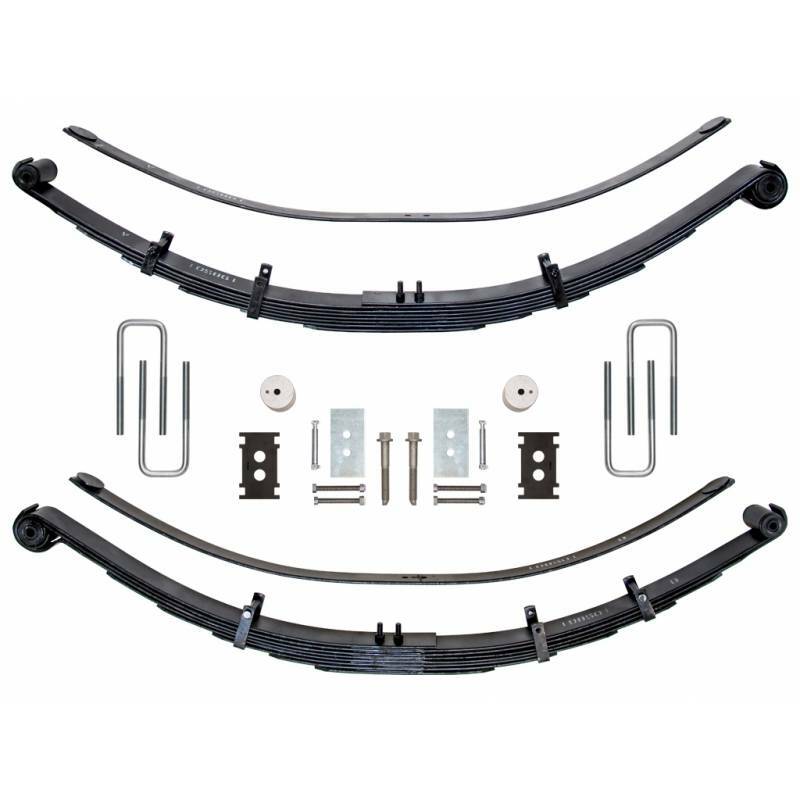 To increase the ride quality of the truck and gain additional droop travel, the spring rate of the standard configuration has been lowered slightly. 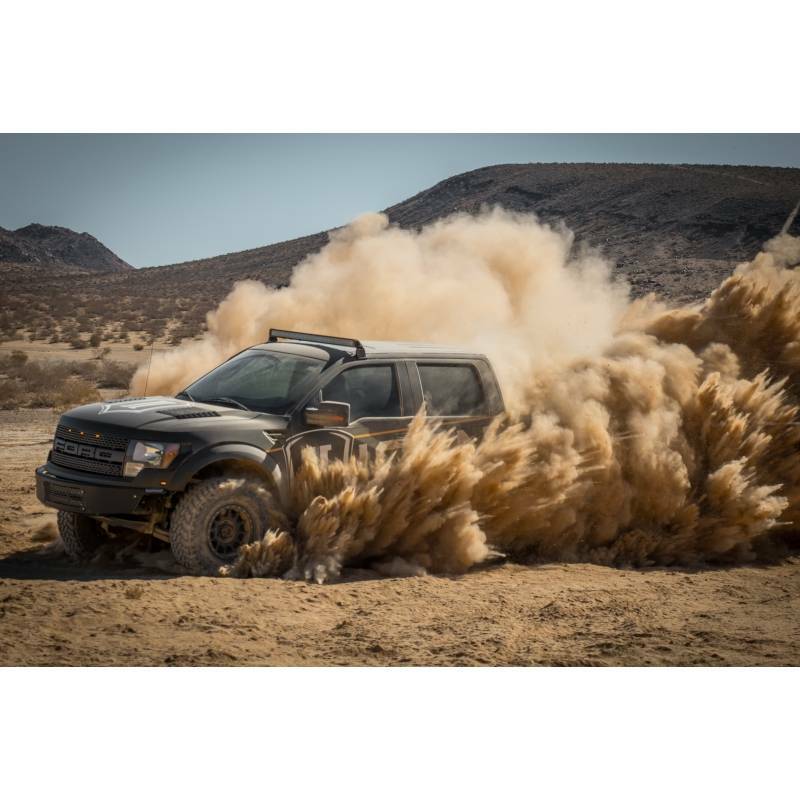 While most Raptor owners will embrace this, there are those who have outfitted their trucks with a significant amount of weight in the form of a chase rack, spare tires and parts, or other additions. Understanding this, the leaf pack was designed with an additional leaf (provided) that can be exchanged or added to the pack, yielding an additional 10% or 20% spring rate that will handle heavier vehicles.